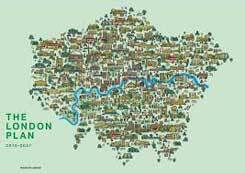 The Mayor of London, Sadiq Khan, published a new draft London Plan at the end of November 2017 which is open for consultation until early March 2018. When adopted at the end of 2019 it will replace the old London Plan which was published by Boris Johnson, in 2011. The most far-reaching issue for us is the proposal to increase the target for new homes in the period covered by the plan up to 2028. The Borough of Ealing will be required to deliver 28,000 new homes in this period. At an occupancy rate of 3 people per unit, the population of the Borough would increase by around 84,000 people or 25% at a time when infrastructure to support new residents, such as schools, hospitals and other health and public services, are coming under increasing financial pressures. In theory, up to 50% of the new homes provided should be affordable but in practice, as under existing London plan, this is unlikely to be achieved particularly since the Mayor has indicated that developers delivering at least 35% of affordable homes (50% on publicly owned land) will not have to provide a viability assessment to justify their provision. Other worrying elements of the plan are the stated ambition of the Mayor to deliver many new homes (nearly 11,000 in Ealing in the Plan period) through development of “small sites” [i.e. smaller than 0.25 ha area]. This, together with the stated aim of encouraging development of under-utilised areas such as low-density car parks, retail parks and leisure sites, is likely to lead to ever-increasing development pressures on the Borough. You can read the Plan by clicking here and submit your comments before 5PM on 2 March 2018.